Pop the bubbly because she’s got the hubby with Champagne Campaign shirts! Bride-to-be’s are always looking for the most clever and trendiest bridal slogan for their squad. Bride tribe? I do crew? All of these alliterating sayings have been reinvented in the last few years but have been said and done leaving bridal parties thirsty for something new. 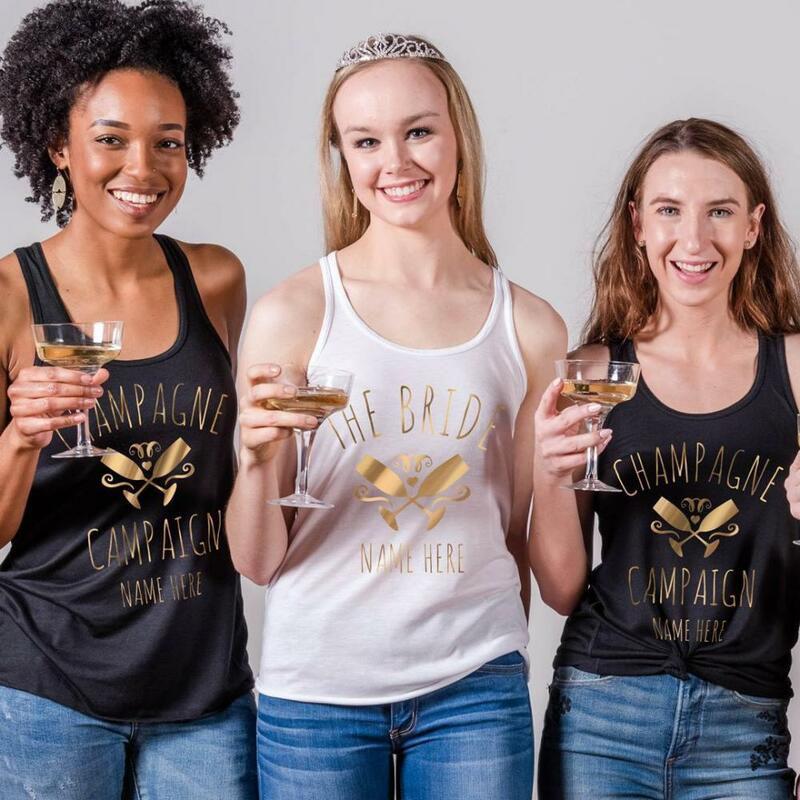 Bridal Party Tees wants to help quench your thirst with custom Champagne Campaign shirts for your bachelorette! Our in-house design team has created unique champagne campaign art that you will not find anywhere else. Customize any design in our gallery or start completely from scratch. We know every bride has their own style so we make sure to have the widest selection of shirts possible. Take any design from our gallery and easily swap out the product on to whatever product you like best. 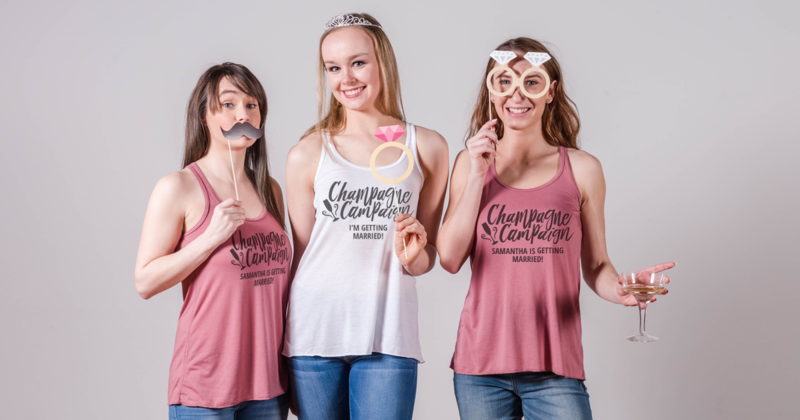 From there, pair our amazing designs with adorable champagne and rosé themed accessories and you’ll be ready to throw a bach party the whole entourage adores! We’ve even got rose gold metallic as an option. Ladies, eat your hearts out. These tasty designs are fresh to the bridal party scene and we would love nothing more than to see you and your campaign rocking these designs. Share your pictures with us on Facebook, Twitter, or Instagram @bridalpartytees! Pop the champagne – she’s changing her last name!